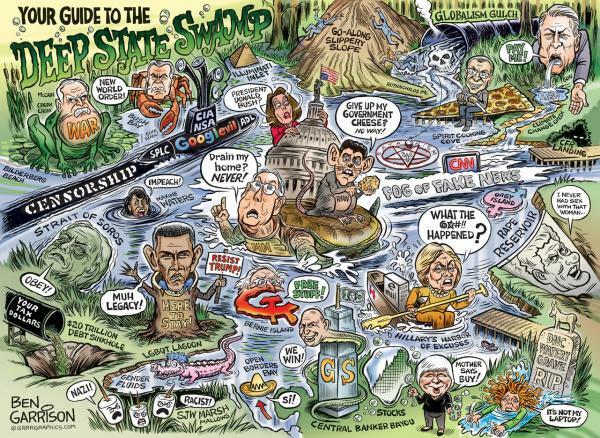 Our Thanks to Ben Garrison for this view of the Swamp. The “Swamp” – the convoluted corridors and moss-hung byways of the Federal Bureaucracy – holds our freedoms in its clawed grasp through impossibly complex rules and regulations. While at one time the idea that “Ignorance of the law is no excuse.” may have had some validity, when the rules become too voluminous for any human mind to comprehend, such old legal concepts can only serve tyranny. The Swamp wants to know everything about each of us. Does the law allow that? Congress in its sometimes wisdom seeks, in fits and starts, to rein-in the powers of the bureaucracy. One such act was the Paperwork Reduction Act (PRA) of 1980. This law restricts the Swamp’s capacity to demand information from us. It says that Americans are free to ignore Federal Government “Collection of Information” unless the request has an Office of Management and Budget (OMB) control number on it. (c) Collection of information means, except as provided in § 1320.4, the obtaining, causing to be obtained, soliciting, or requiring the disclosure to an agency, third parties or the public of information by or for an agency by means of identical questions posed to, or identical reporting, recordkeeping, or disclosure requirements imposed on, ten or more persons, whether such collection of information is mandatory, voluntary, or required to obtain or retain a benefit. The problem the FDA bureaucracy has is that there are lots of Regulations that are clearly subject to the PRA for which the FDA – and other Swamp Agencies — do not bother to get OMB numbers. Let’s repeat that: the law clearly lets Americans “ignore with impunity” any Federal Government request for information that lacks an OMB control number. FDA knows that. Below is a list of all FDA Regulations that do have OMB control numbers (21 CFR). § 100.1 Petitions requesting exemption from preemption for State or local requirements. § 100.2 State enforcement of Federal regulations. § 101.108 Temporary exemptions for purposes of conducting authorized food labeling experiments. § 170.35 Affirmation of generally recognized as safe (GRAS) status. § 201.21 Declaration of presence of phenylalanine as a component of aspartame in over-the-counter and prescription drugs for human use. 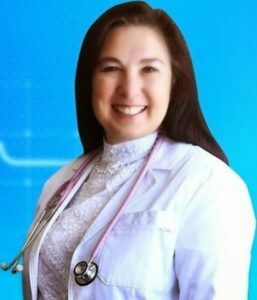 § 205.5 Minimum required information for licensure. § 211.132 Tamper-evident packaging requirements for over-the-counter (OTC) human drug products. § 225.202 Formula, production, and distribution records. § 314.81 Other post-marketing reports. § 341.76 Labeling of bronchodilator drug products. § 357.152 Package inserts for anthelmintic drug products. § 500.86 Marker residue and target tissue. § 500.90 Waiver of requirements. § 700.25 Tamper-resistant packaging requirements for cosmetic products. § 720.4 Information requested about cosmetic products. § 800.12 Contact lens solutions and tablets; tamper-resistant packaging. § 801.430 User labeling for menstrual tampons. § 807.87 Information required in a premarket notification submission. § 814.15 Research conducted outside the United States. That’s a couple dozen Information Collection requests. There are however, thousands of FDA (and other agency) Regulations that do not have OMB control numbers. The Courts understand this problem, which the politicians and the bureaucrats hope to ignore. These two cases show how the Courts respond to the lack of OMB control numbers. Appellants argue that the Paperwork Reduction Act of 1980 (“PRA”) prohibits their prosecutions because the Plan of Operations filing requirement lacks a current control number, and appear to raise an issue of first impression in this circuit. The PRA was enacted “to reduce and minimize the burden Government paperwork imposes on the public.” S.Rep. No. 930, 96th Cong., 2d Sess. 2 (1980), reprinted in 1980 U.S.Code Cong. & Admin.News 6241, 6242. The PRA requires all agencies to submit all “information collection requests” to the Director (the “Director”) of the Office of Management and Budget (“OMB”) for review and approval. See 44 U.S.C. Sec. 3507. If the Director approves the information collection request he must ensure that it contains a control number. See 44 U.S.C. Sec. 3504. An agency “shall not conduct or sponsor the collection of information unless” the information collection request has been submitted to and approved by the Director, see 44 U.S.C. Sec. 3507(a), and “shall not engage in a collection of information without obtaining from the Director a control number to be displayed upon the information collection request,” see 44 U.S.C. Sec. 3507(f). The purposes of the PRA include minimizing the federal paperwork burden on individuals, minimizing the cost to the federal government of collecting and using information, and maximizing the usefulness of information collected. 44 U.S.C. Sec. 3501. To these ends, the PRA mandates that an agency shall obtain approval from the Director of the Office of Management and Budget before making an information collection request. 44 U.S.C. Sec. 3507(a). “An agency shall not engage in a collection of information without obtaining from the Director a control number to be displayed upon the information collection request.” 44 U.S.C. Sec. 3507(f). This is powerful language that tells us the Government’s power to collect information is limited. We know of a number of Constitutional limits on that power. They are set forth in several Amendments to that fundamental law, namely the First, Fourth, Fifth and Fourteenth Amendments among other sections. But in addition to those Constitutional limits, the governing procedures of the bureaucracy itself imposes a clear limit: unless there is an OMB control number, Americans can refuse to provide information to their Government. Pretended ignorance of that Rule is no excuse for bureaucracy! While such limits may not, of themselves, Drain the Swamp, the least we can expect from our Government is that it obey its own procedural rules when attempting to micromanage our lives, property and liberty. Larry Becraft, Esq., who practices law from his home state of Alabama, joined Ralph Fucetola JD in writing this Open Source Truth post.